• It should start from the words used in job descriptions. The HR team should carefully choose their description as some words can have an undertone of gender bias. There are great online tools which integrate with a company’s application tracking system, email software, and other talent acquisition tools to uncover any unconsciously used biased words within the job description. • Implementing blind sourcing and resume screening: Blind sourcing is basically sourcing a resume, completely “blind” to any resume traits which might trigger unconscious bias. 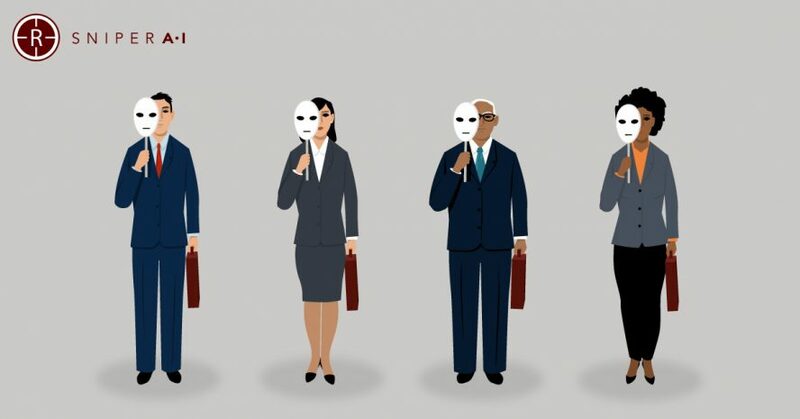 There are tools which do resume screening with “blind hiring mode” turned on, removing information that may disclose candidates gender, race and ethnicity. This method will result in developing an unbiased talent pool based only on skillsets. • A culture of a biased free interview should be propagated within the organization. This is where the structured interview process comes in handy. It ensures a certain list of specific questions is asked in the same way to every candidate. • The integration of AI for recruiting application in the hiring process will provide an unbiased perspective, devoid of any human emotions. It leverages the capabilities of machine learning, NLP to collate and compute data sourced from various sources. It creates data points using algorithms and formulates patterns which increases the chances of hiring the right fit for the job. The recruiting AI can be programmed in a way that it completely ignores the demographic information about a candidate.